Why Isn’t American Express Accepted at More Places? If you’ve landed on this page, chances are you’re just as perplexed as a ton of other people as to why American Express isn’t accepted at so many stores. It’s a major credit card company with millions of customers around the world. So what gives? Why can’t those millions of customers use their Amex cards at so many places? Turns out, sometimes accepting American Express just costs too much for merchants to make it worth it. 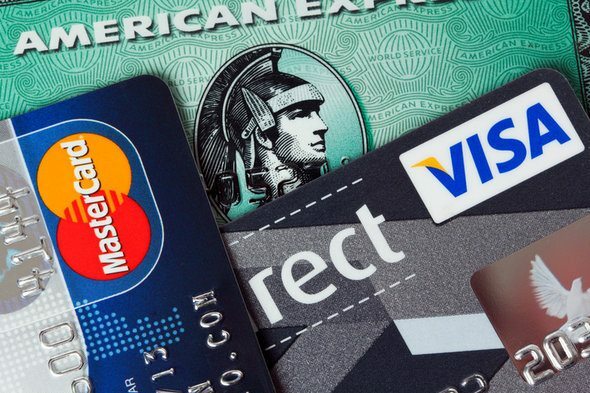 Check out the best credit cards of this year. You may not know this, but merchants have to pay credit card companies a fee in order to accept any credit card. Of course, merchants choose to offer this service because it’s better for their customers and better for business. But for every credit card transaction, they pay an interchange fee to the credit card issuer, costing them money. All credit card issuers charge a fee, but not all issuers charge the same fee. Because of this set up, merchants can choose which credit cards they want to accept. The different fees often make or break a deal for a merchant. This is why many merchants, especially small businesses, don’t accept American Express. American Express’ interchange fee is just too high. Providers like Visa and Mastercard charge between 1.5% and 2.5%, while Amex charges merchants between 2.5% and 3.5%. The exact percentage can fluctuate, but American Express still charges over 2.5%. While 2.5% – 3.5% may not seem like a lot, especially compared to Visa’s 1.5% – 2.5%, it can pose a difficulty for smaller businesses. Sometimes that extra 1% or 2% isn’t worth the profit they may or may not gain. Even large retailers that make hundreds of thousands of dollars a day could lose money from constantly paying Amex fees. Businesses consider a bunch of different factors when deciding whether to accept American Express or not. Often this includes the business’ size, its markups and the number of transactions it makes per day. When merchants forgo American Express, they usually rely on their customers to have another way to pay, whether by Visa, debit card or cash. They’re usually right. Why Is American Express More Expensive? So instead of being left out, why doesn’t American Express just lower its fees to match those of its competitors? Well, American Express relies on these fees, and other income streams, to make money. This is a different business model from those of Visa and Mastercard, who make much of their money from interest rates. American Express does make interest income, but many of its products aren’t designed to generate interest. The company requires cardholders to pay their balance in full each month. Instead, American Express charges high annual fees, which its largely affluent client base can pay. 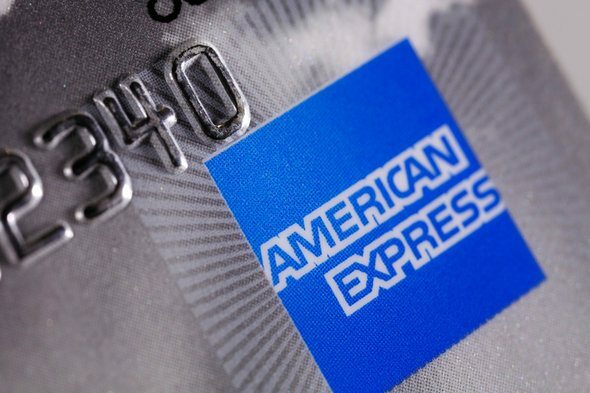 In turn, merchants know whether American Express’ clientele will shop at their store or not which will determine whether they’ll accept Amex or not. American Express may not be accepted everywhere, but there’s a reason it remains so popular among customers. For one, Amex credit cards can come with incredible rewards. Not only can you earn points, but you can use those points for great rewards like free flights and hotel stays. Plus, depending on your spending habits, the annual fees almost always come out in the wash. As always, just be sure to use your credit card wisely, spending only what you can afford. As for merchants, it’s entirely up to each merchant whether it want to accept Amex or not. Most of the time, paying the higher fee just isn’t worth it. Either the merchant’s clients don’t use Amex anyway, or the profit it could earn from Amex holders isn’t significant enough. However, it could be worth it to run the numbers or even a trial run. Some small businesses, depending on prices and clientele, can benefit greatly from accepting Amex. There’s nothing wrong with already having an American Express card. It might even be your favorite! Just be prepared – if you’re not already – to offer another form of payment at places where your card isn’t accepted. Many Amex cardholders do have a second credit card, whether Visa or Mastercard, as a backup. Of course, you can also use cash or a debit card, whatever works better for you and your finances. So you’ve decided to join the credit card team. Congrats! Getting a credit card is a pretty exciting step in your financial life, especially if it’s your first. But how do you choose your first credit card? Probably the most important part is to make sure the credit card and its features align with your spending habits. If you tend to spend a lot at the grocery store, you would want to look for a cash back credit card with extra grocery store rewards. A card that doesn’t enhance your spending will end up being more of a burden. 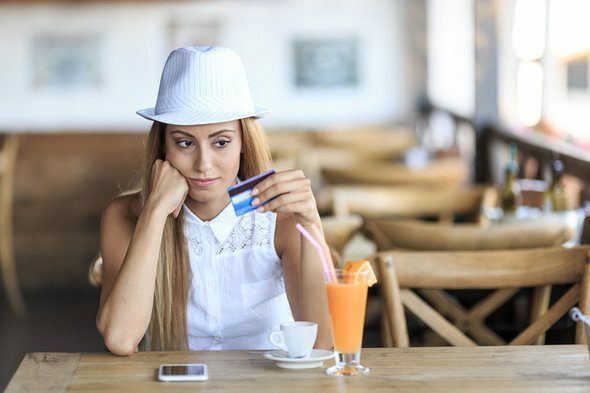 Not quite ready for a rewards credit card? No worries. You can easily start off with a secured credit card, which provides, you guessed it, more security in your credit spending. You put down a security deposit which serves as your credit line and collateral should you miss any payments. When comparing credit cards, you will also want to look at each card’s annual fee and APR. While there are no fee credit cards, there are also a handful of them that do charge some pretty high annual fees. You’ll have to decide whether the rewards and perks those cards offer make the annual fee wholly worth it. Also be sure to take a look at a card’s interest rates. You should be paying each bill in full and on time to avoid interest, but sometimes that’s not always possible. It can lessen the bite if you get a credit card with a lower APR.